Johanna’s interest in complementary therapy started already as a child having a grandfather who was a self taught healer. She has a back ground in health and fitness and having had a lot of different treatment herself and feeling the benefit, made her decide to become a therapist herself. 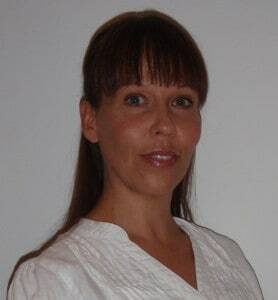 Johanna has a keen interest in well being and is very passionate about her work. Johanna offers a range of different Complementary therapies such as Reflexology, Deep Tissue Massage, Holistic Massage, Indian Head Massage, Reiki Healing and Craniosacral Therapy. She has also attended post graduate workshop for Craniosacral Therapy in Trauma, and for Reflexology in pre-conception, pregnancy and post pregnancy. Her treatments can be combined and she works very intuitively. Her aim is the help her clients to achieve optimal health and well being, and to inspire people to take care of them self on all levels – physically, emotionally and spiritually.